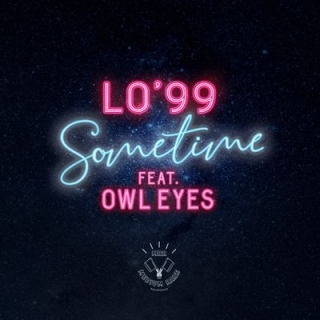 Australian dance luminary LO’99 today unleashes his latest offering ‘Sometime’, enlisting friend and triple j favourite Owl Eyes, adding her enchanting vocals to his deep, housey, rolling production. Sitting perfectly on an afternoon mixtape as it would a late night dance floor, ‘Sometime’ truly is a standout from LO’99. The slow build gives way to his signature deep bass juxtaposing with Owl Eye’s smooth light melodies making for a truly infectious pop dance anthem. The single also marks the return for Owl Eye’s feature vocals. Previously working on instant hits with Illy and Flight Facilities, she also released her first solo music since 2013 late last year titled ‘On Me’. ‘Sometime’ is the latest from LO’99, with his impressive catalogue of both originals and remixes aired globally on BBC Radio 1, 1xtra and triple j, quickly accumulating into four Beatport #1s in the process. His previous release ‘Take Me Back’ swept the UK club charts, landing at #5, while singles ‘Make Me Feel’, ‘Bizness’ and ‘From the Start ft. Elizabeth Rose’ both topped the ARIA Club Charts. Successively, LO’s impressive list of remix credits continues to grow from Moby and Royksopp to Peking Duk and AlunaGeorge. Last year he was tapped to remix Fatboy Slim’s ‘Star 69’ for his remix EP ‘Fatboy Slim VS Australia’ which is still receiving love from acclaimed DJs like Claptone, Gorgon City and Kaskade. LO’99 has just graced the stages of Splendour in The Grass, California’s Nocturnal Wonderland and was amongst a handful of Australian acts invited to play one of the coveted spots at EDC Las Vegas, twice, as well as a 24-date world tour encompassing the US, Canada, New Zealand and Australia. After recently returning from performing at Falls Festival Lorne – LO’99 is back for 2019 and ready to soundtrack your summer!